In addition to the other challenges that come with parenting a child on the autism spectrum, many mothers and fathers of ASD children struggle with finding a job that allows them to balance the needs of their family against the needs of their employer. These parents earn less money than their peers and face a number of specific challenges, including finding appropriate childcare, scheduling conflicts related to therapy and specialist appointments, and fulfilling the non-standard emotional needs of their children. However, there are several great careers that offer the flexibility and job satisfaction these parents require. According to a study published in the journal Pediatrics, mothers of children with an autism spectrum disorder earned 56% less money than mothers of children with no diagnosed health issues. Coupled with the increased expenses of providing therapy and education for a child with autism, these parents often struggle financially. Finding the right career and an understanding employer are essential to removing some of this financial stress from families that may already be under emotional strain. The following jobs offer some or all of these qualities. If your child is already in school, working in the same school district is a great way to earn an income and still be available if your child needs you. From administrators to teachers and support staff, there are a variety of education jobs available. You could share a schedule with your school-aged child. You'll have great health benefits to help cover the cost of therapy and treatment. Your co-workers will understand your child's diagnosis and the challenges faced by your family. You can check on your child during any non-scheduled periods. You can develop a closer relationship with your child's teachers and paraprofessionals. Despite some of its advantages, education is not the right field for everyone. 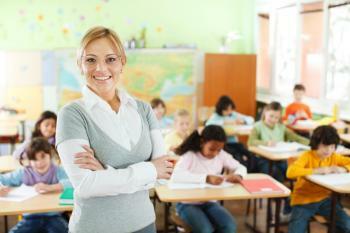 There can be high competition of teaching jobs, and district cut-backs can reduce job security. Additionally, some parents of children on the spectrum simply don't have the extra energy to put into a child-centered career like education. Most education jobs require a college degree. If you aren't already certified as a teacher, paraprofessional, administrator, or other school professional, you many need to go through several years of training and education. This isn't practical for all families. The United States Department of Education offers a number of resources for people considering a career in education. Additionally, your local school district will have information about open positions and other opportunities. Nearby colleges and universities also offer resources for those who want to get retrained for the education field. If you're looking for a job that has part-time hours and good benefits, driving a school bus might be another great option. Some school districts employ their bus drivers directly, while others contract with outside transportation companies. Either way, you'll only need to be away from your child during set shifts, usually lasting only a few hours each. You'll work part time, which gives you time to care for your child. You'll receive health insurance benefits, rare in part-time work. Training is relatively minor, often consisting of on-the-job programs or short courses. You can work with kids. Some districts may allow you to bring your child with you on the bus, although this varies from district to district. Because training for this job is usually provided by the company or school district and often doesn't involve a lot of coursework, this may be perfect if you don't want to get a new degree in order to change professions. However, the part-time nature of the work and relatively low hourly pay, which varies by district, add up to a fairly small annual income. If you're supporting your family on your own, this may not be enough to live on. Additionally, if you can't find childcare and the district doesn't allow you to bring your child, this job may not work for you. You'll need to get your commercial driver's license (CDL) before you can apply for school bus driver jobs in your area. Additionally, you'll need a high school diploma or GED. When you're ready to apply, check out the ads in your local newspaper, contact your school district, or search a site like CareerBuilder.com for open positions. If you love kids and want to work at home where you can take care of yours, working as an in-home daycare provider might be the perfect career for you. Depending on the amount of care your child with autism requires, you may be able to care for one or more other children. You'll get lots of time with your child. You don't have to worry about finding an autism-friendly daycare center for your child. 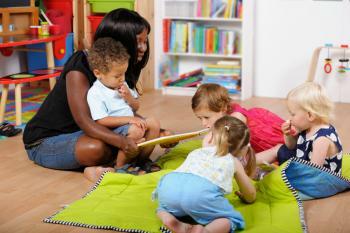 You can choose the hours that your daycare is open, allowing you to attend meetings or go to appointments. Your child will get the social exposure of spending time with neurotypical children. If you're especially interested in having time at home with your child, being an in-home daycare provider might be the perfect choice. This career doesn't require a great deal of training or advanced education, although you'll need to meet the certification standards of your individual state. Since you'll be self-employed, this job doesn't come with health benefits. Additionally, you may find it difficult to adjust your schedule on the fly, since the parents of your charges will need to count on you for specific hours of the day. If you find that you're too tired to care for more than your own child or that your child's special needs are so significant that you can't properly care for additional kids, this may not be the job for you. Since daycare provider certification requirements vary from state to state, you'll need to contact your own state government to find out about the laws in your area. Typically, you'll need to work with your states Department of Children and Families. For more information about becoming a home daycare provider, contact the National Association of Child Care Professionals. Looking for a creative job you can do from home? If you're handy with a camera or a whiz with a laptop, you may be able to use those talents to help support your family while working from home. You'll have the ability to make your own hours, leaving you available to attend appointments or therapy sessions any time of the day. You can work as many or as few hours as you'd like, depending on how many hours you need to devote to one-on-one care for your child. You can do something creative and fun that doesn't involve working with your child on his therapy homework. If you are self-motivated and enjoy creative work, being a freelance creative professional could be perfect for you. However, there are a few drawbacks to consider as well. Freelance workers don't have steady employment or paid benefits. Additionally, if you work part-time, you may not make enough money to support your family. Becoming a freelance writer, designer, or photographer does not take any specialized training, other than your own talents. You may need to work for less money in the beginning in order to build up a portfolio, but then you can set your own rates and hours. To find freelance jobs in your field, contact your local newspaper and other publications. You can also check websites like Freelance Writing Gigs and Freelance Photo Jobs. As the parent of a child with special needs, you've seen first hand the difference a good therapist can make in a child's life. There are many kinds of therapists, including speech pathologists, occupational therapists, physical therapists, and autism specialists. Although many therapists work in clinics, hospitals, and schools, others have private businesses and travel to their clients' homes. This type of job can be ideal for the parent of a child on the autism spectrum. You can set your own hours, setting appointments in the evening or on weekends. You can choose to have as many or as few clients as you'd like. Your training and experience will increase your ability to work with your own child. You'll know that you're helping other families like yours in a lasting and practical way. You can provide emotional support for other families facing similar challenges. One of the biggest things to consider when choosing a career as an independent therapist is the amount of training involved. Most therapists have at least a Master's degree in their field, and many have undergone rigorous on-the-job training as well. If you aren't yet certified as a therapist, you may not have the time and energy available to complete the education and training required. Additionally, being your own boss means you don't have health insurance as part of your job. This can be very challenging for families with children on the autism spectrum. You can also contact your local university to learn about training programs. Facing the challenge of autism has brought out your strength as a parent. Likely, the experience has increased your sensitivity, your perseverance, your research skills, and many other important talents. Despite the difficulty of finding a career that allows you to balance your work responsibilities with your child's care and treatment, you'll be able to use your unique strengths to shine as an employee as well as a parent.